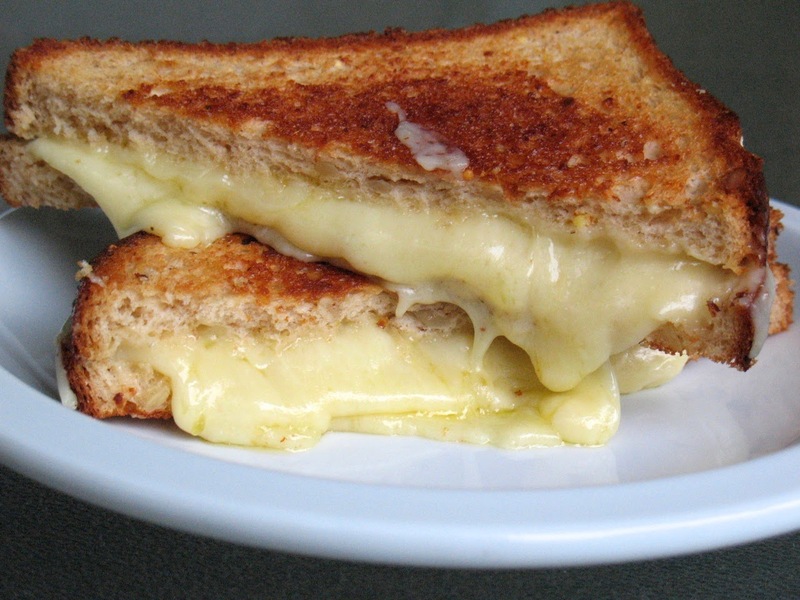 April is grilled cheese month. You can learn the origin of this American classic in Adam Lapetina's Thrillist story. New York Times: “Wine School: Bordeaux, Decanted,” by Eric Asimov. The Washington Post’s wine columnist, Dave McIntyre, has been doing more wine education columns lately, and it’s nice to see the Times’ wine writer Eric Asimov get into the game as well. Last month, he launched a new monthly series called Wine School. For those interested, I think this is a great opportunity. Each month he picks a style of wine, suggests three bottles for readers to try and then writes a follow-up column exploring that wine style. For the first month, he chose Bordeaux, the classic big French blend. Even if you didn’t try his three suggested wines, it’s an education read. Next up: Beaujolais. New York Times: “Vidalia Onions: A Crop With an Image to Uphold,” by Kim Severson. In just a few weeks, it will be time to harvest Vidalias, the large sweet onions from Georgia that dominate the East Coast market. Severson looks at a number of issues that threaten to dilute its brand, including pressure to allow earlier harvesting and efforts to sell imported onions under the Vidalia name. Much as I love Vidalias, if, like me, you grew up in the Northwest (and especially if you went to Whitman College), you’ll never break an allegiance to Walla Walla sweet onions. It’s the season for asparagus, artichokes, peas, ramps and fava beans. These recipes from The Kitchn provide interesting ways to use these ingredients. I’m eyeing the Socca Flatbread with Spring Pesto and Salad, in particular. Lucky Peach: “Goodbye to All That Sugar, Spice, and Fat,” by Lisa Hanawalt. Issue #10 of Lucky Peach is the Street Food issue. As you’d expect, they cover it from pretty much every angle, even cigarette butts and gum—the food for the street’s lowest forms of life, bacteria and molds. Hanawalt’s illustrated farewell to New York street food (she’s moving to Los Angeles) is like a lot of Lucky Peach: informative, off-beat and amusing. Not that I necessarily need the validation, but it was nice to discover I’m not so weird for keeping olive oil, balsamic vinegar and a black pepper grinder in my desk. Kramer includes them among a list of pantry items an office worker should keep on hand, one of this story’s tips for livening up your brought-from-home lunch. Thrillist: “The True Origins of 13 Classic American Foods,” by Adam Lapetina. Lapetina explores the creative genius behind the origins of a group of American classics. I thought the story of the grilled cheese sandwich’s origin to be particularly interesting, given that it was born from necessity. Speaking of food history, this is a totally adorable animated video on the history of pizza, spanning its original Mediterranean flatbread creation in the 1500s to the creative American pizza-inspired products of the late 20th Century. The Washington Post Magazine expanded this week, and with the expansion comes a new weekly food feature, Plate Lab, in which Food section editors translate restaurant recipes for home cooks and, once a month, also share food trends. For the inaugural Plate Lab, Benwick shares DC Coast’s recipe for Cherry Sambal, just in time for the cherry blossoms. Washington Post Magazine: “Dining tips: How to Be a Savvy Restaurant-Goer,” by Tom Sietsema. Taking a break from restaurant reviews, the Post’s restaurant critic offers excellent tips on how to make the most of restaurant experiences. CNN Money: “Is Perfect Bacon Bowl the next Snuggie?” by Parija Kavilanz. Almost everybody is nuts about bacon these days, so turning it into a bowl that you can fill with…just about anything…doesn’t really seem that far-fetched. I bet ice cream would be good from a bacon bowl! Eater: “Here's a Brilliant April Fools' Cocktail Menu from The Dorrance in Providence, RI,” by Hillary Dixler. Since it was April Fool’s Day last week, Dixler unearthed this hilarious menu of prankster cocktails.